Lambert, Maude-Emmanuelle and Daniel Latouche. "Adélard Godbout". The Canadian Encyclopedia, 30 November 2016, Historica Canada. https://www.thecanadianencyclopedia.ca/en/article/joseph-adelard-godbout. Accessed 20 April 2019. 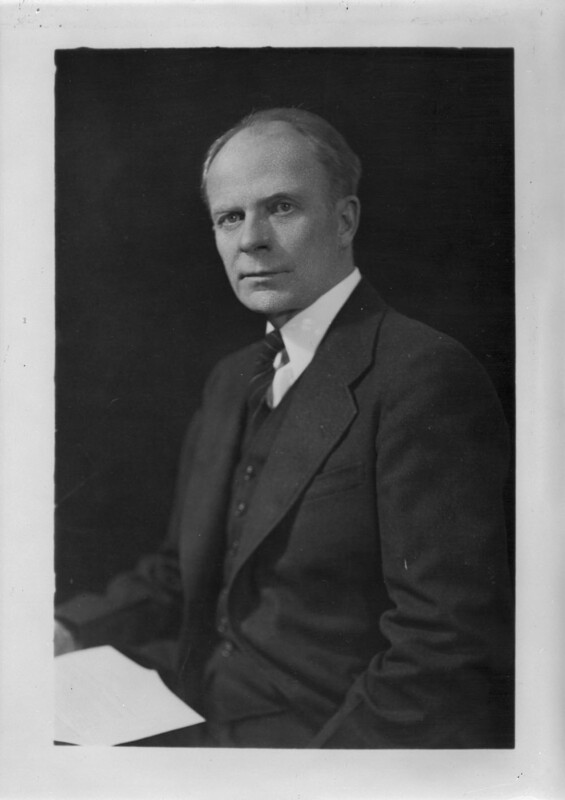 Joseph-Adélard Godbout, agronomist, professor, leader of the Quebec Liberal Party and premier of Québec (born 24 September 1892 in Saint-Éloi, Québec; died 18 September 1956 in Montréal, Québec). After taking classical studies at the Séminaire de Rimouski and agronomy at the Sainte-Anne-de-la-Pocatière School of Agriculture (affiliated with Université Laval), Godbout attended Amherst Agricultural College in Massachusetts (see Agricultural education). Upon his return from the United States, he taught at the Sainte-Anne-de-la-Pocatière School of Agriculture (1918–30) and was an agronomist with the Québec Department of Agriculture (1922–25). His professional training and interests led him to manage the annual horse exhibition in Sainte-Anne and to advise farmers on purebred development. Godbout stands out among his contemporaries for his economic, rather than ideological, vision of agriculture. Godbout was active in local politics, especially after his father, Eugène Godbout, became the Member of Parliament (MP) for Témiscouata (1921–23). The premier and leader of the Quebec Liberal Party, Louis-Alexandre Taschereau, saw the young politician’s potential and encouraged him to run as MP for L'Islet in 1929. Godbout became Minister of Agriculture the following year and, at 38 years of age, was the youngest member of the cabinet. The Liberal party went into decline after the 1931 general election, and in 1934 a group of prominent young Liberals formed a new party, the Action libérale nationale, which went on to elect 26 MPs in 1935. The subsequent parliamentary session was disastrous for the Liberals: scandals erupted, and Taschereau resigned in June 1936. Godbout was acclaimed leader of the Liberal Party and became premier of Québec. However, the victory was short-lived — he only held the position for two months. 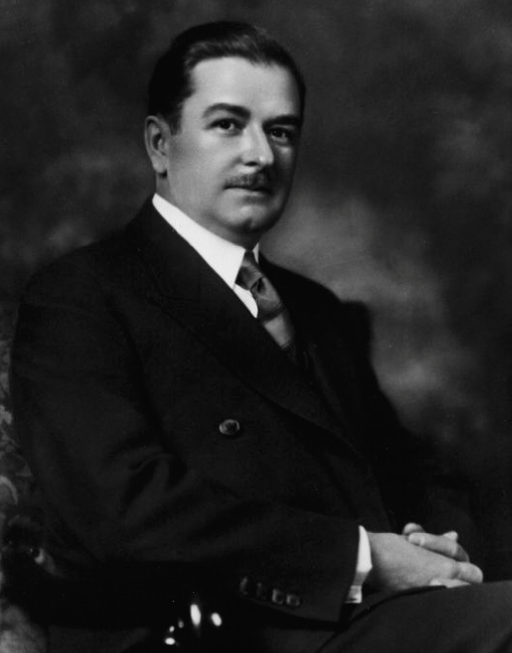 Quebec's premier Louis-Alexandre Taschereau, between 1920 and 1936. Maurice Duplessis, member of the Legislative Assembly of Quebec and leader of the National Union, before becoming Premier of Quebec. During the electoral campaign of July and August, 1936, this photograph was the photo distributed to the media and used in the electoral material of the National Union. It was also reused during the electoral campaign of 1939. Maurice Duplessis, leader of the new Union Nationale party (a coalition of the Action libérale nationale and the Conservative Party), won the August 1936 election. Godbout was defeated in his riding and spent the years 1936–39 reorganizing his party. Duplessis failed to fulfil his promises on the hydroelectricity sector, alienating unionized workers and provoking quarrels within the party. 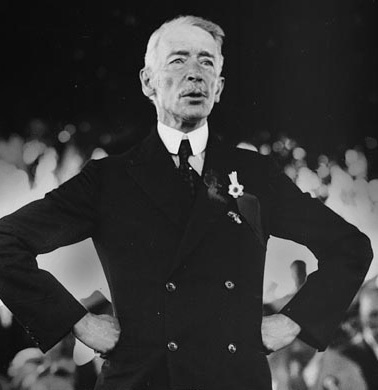 After Canada entered the Second World War, Duplessis took the opportunity to call an early general election, which he lost. Godbout won the election to become leader of the Quebec Liberal Party with the support of federal Liberals and with Mackenzie King’s Québec lieutenant, Ernest Lapointe, campaigning at his side. His subsequent achievements as premier were impressive. According to some historians, the various social and economic measures his government introduced paved the way for the Quiet Revolution. In 1940, despite strong opposition from Cardinal Villeneuve, he gave women the right to vote— a right that women had been demanding for 20 years and that they were already exercising federally and in the other provinces (see Women’s Suffrage). Godbout also tackled the problem of school attendance. To counter any opposition from the Catholic clergy to a bill on compulsory (universal and free) public education, the Godbout government released the conclusions of a report from the Superintendent of the Department of Public Education that called attention to high dropout rates after the fourth year of elementary school. As a result, the Catholic clergy, who controlled the Québec education system, agreed to compulsory attendance for children aged 6 to 14. The Compulsory School Attendance Act was passed on 26 May 1943. Labour organization was another important issue for the Godbout government. At the time, employers were not required to bargain with their employees. In 1943, frustrated Catholic unions launched a general strike at the Price Brothers paper mills in Kénogami and Alma. A commission of inquiry established by Godbout found a lack of freedom of association. The Labour Relations Act of 1944, which was seen as a labour code and clearly laid out collective bargaining and unionization rights, required employers to bargain with the majority union (see Working Class History — Québec). For over 10 years, advocates for municipal control over electricity and the creation of a public hydroelectric utility campaigned and protested against high costs, poor rural electrification, and the lack of French speakers in management positions in hydroelectricity companies. In 1940, Godbout made this issue his number one priority. In 1944, he nationalized the powerful Montreal Light, Heat & Power Company and its subsidiary, Beauharnois Power. He created Hydro-Québec to manage the companies and adopted a policy for rural electrification worth $10 million per year, which angered English-speaking financiers. The state-owned company expanded and built new plants. During the Quiet Revolution, it was worth a billion dollars. In other matters, Godbout allowed the federal government to amend the Constitution for the purpose of introducing unemployment insurance, which unions had been calling for since the turn of the century and which the Québec Committee on Social Affairs had recommended in the early 1930s. In addition, he did not stand in the way of a federal government initiative to set up a family allowance program in 1944, although social services fell solely under provincial jurisdiction. Godbout’s political opponents saw his acceptance of the federal government’s progressive measures as a lack of independence, and they exploited it, as they did his position on conscription after the Canada-wide referendum in 1942. 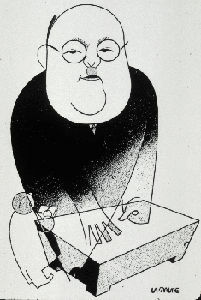 Despite his election promise, Godbout defended the Mackenzie King government’s change of heart, since he felt that the issues at hand made conscription necessary for an Allied victory. As a result, his party was defeated by Duplessis’ Union Nationale in 1944. Godbout remained Leader of the Official Opposition until the 1948 election, which he also lost. He became the senator for Montarville in 1949. He died after a fall on 18 September 1956. Despite his formal promise in 1939 to oppose a new conscription law, Godbout’s attitude was conciliatory and, as such, has been a source of debate among historians. Some nationalist historians have described him as a stooge of the federal government, even a traitor. However, historian Michel Lévesque says that the main reason for his subservience lies in the 1939 provincial election. He claims that the federal Liberals bought Godbout’s victory over Duplessis by ploughing $1 million — a colossal sum at the time — into his election campaign across the province’s 86 ridings. In comparison, they spent $1 million in the country’s 245 ridings during the 1940 federal election. Adélard Godbout’s freedom to make decisions independently of the federal government was undoubtedly limited as a result of the Liberals’ significant financial contribution. Furthermore, his government may not have been as progressive as it seemed. The 1943 Civil Service Commission, which guaranteed government employees employment stability, was created after the government dismissed over 4,000 public servants and replaced them with Liberal Party workers. In addition, the Wartime Tax Rental Agreement did not work in Québec’s favour, despite Godbout’s claims to the contrary during an April 1942 Legislative Assembly debate. In fact, the federal government collected over $2.25 billion in taxes in Québec between 1September 1941 and 1 September 1947 and invested only $102 million in the province during the same period. Today’s historians recognize the significance of the progressive measures Godbout introduced (women’s suffrage, compulsory education, a labour code, etc. ), which paved the way for the development of the Québec welfare state. A statue erected near the Québec Parliament Building commemorates Godbout, who laid the groundwork for the Quiet Revolution. Many places and buildings in Québec have been named in his honour. In 2000, the filmmaker Jacques Godbout produced a documentary on him entitled Traitor or Patriot. Every year the Ordre des agronomes du Québec awards the Mérite spécial Adélard-Godbout to a company, organization, individual, or group of non-agronomists who have contributed to the development of agriculture, agronomy, or the Québec agri-food sector. Joseph-Adélard GodboutPolitical profile of Joseph-Adélard Godbout from the Parliament of Canada website. JOSEPH-ADÉLARD GODBOUTBiography of Joseph-Adélard Godbout from the Parti Libéral du Québec. TRAITOR OR PATRIOT?Watch this feature documentary, produced by Jacques Godbout, on the NFB site. A political legacy obscuredThis article pays tribute to the many accomplishments of former Québec premier Joseph-Adélard Godbout. From the Globe and Mail newspaper. JOSEPH-ADÉLARD GODBOUT (1892-1956), PREMIER OF QUEBECProfile of former premier of Québec Joseph-Adélard Godbout from the Townships Heritage WebMagazine.